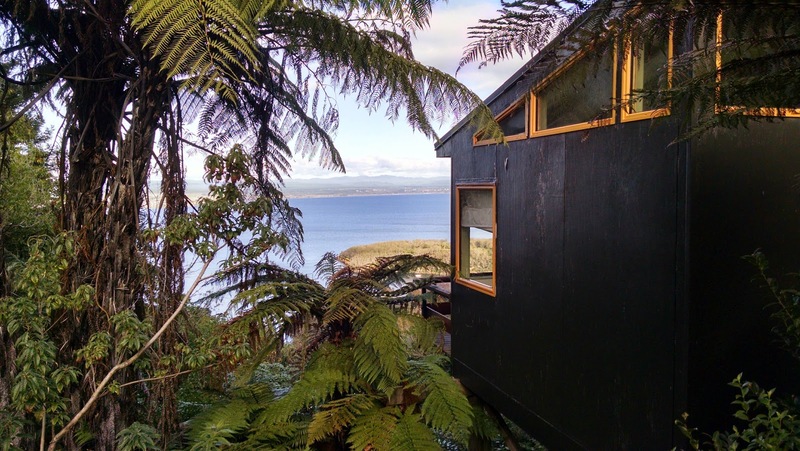 Yesterday we finished our last program, the good-bye circle of our weekend retreat at Lake Taupo. 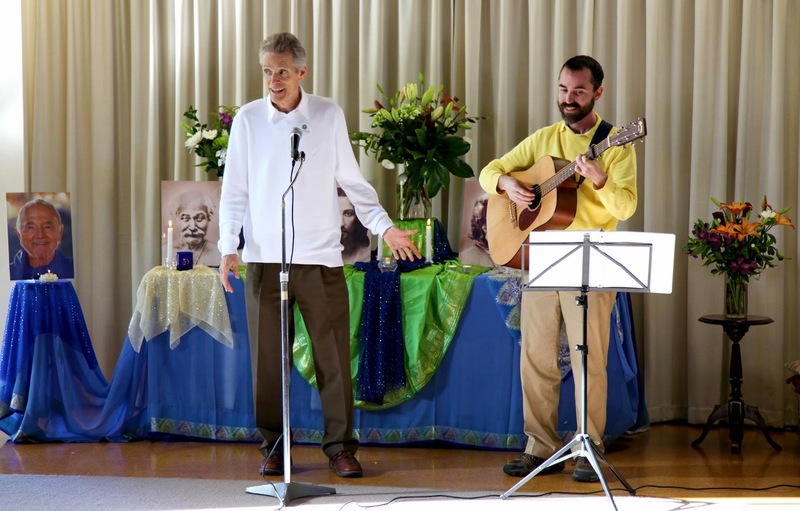 Being at Ananda is like living in an operetta, we explained, and then taught them the “good-bye song.” With many tears of gratitude we sang to each other. Then the New Zealanders took over and sang the traditional Maori good-bye. It was as if all the threads of the past weeks were knitted together in the most beautiful way. Years ago I read an account of a death-and-return experience, in which the man said he found himself on the other side standing on the playing field of what seemed to be a huge sports stadium entirely filled with angelic being cheering for him! They were there to give him strength for the final burst across the finish line of that incarnation. 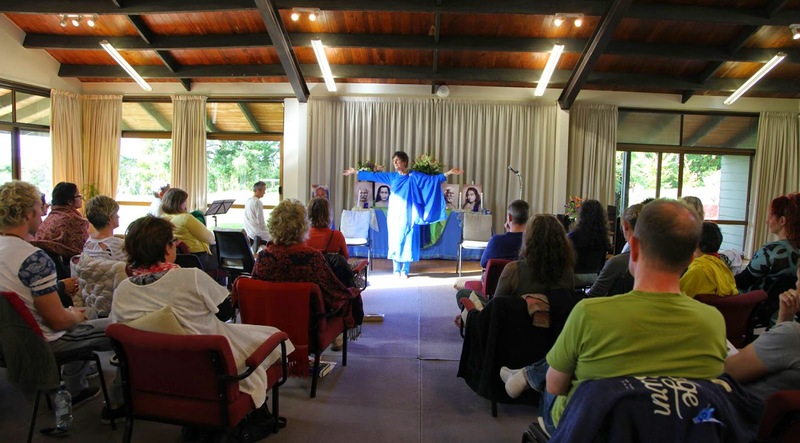 The retreat was not the end of life for any of us, but it does mark the end of this journey and the beginning, or early stages, for many of their exploration, devotion, or discipleship to this path of Self-realization. We were “two or more, gathered in His name,” and there He was in the midst of us. From the beginning of my travels -- starting in the 70s -- I’ve never gone on tour without musicians. What it takes an hour to accomplish in words (and you may never reach!) can be conveyed in minutes through Swamiji’s music. Tandava and Dambara are a dream team, able to sing and play almost anything in the repertoire on a moment’s notice. It is not always possible to predict in advance how the energy will unfold and their relaxation and skill made it possible to respond intuitively with just the right song or chant. All the events are being posted on the YouTube channel and include not just the talking, but also the music. Over the years, I’ve heard many panels on this subject, but rarely have I heard such a moving collection of talks. It’s just an hour, already posted. You’ll enjoy hearing the stories. On Saturday night of our retreat, Dambara and Tandava gave a one-hour musical program (video here). They started with the lighter, more humorous songs, gradually moving into the deeper, more inward ones. At first, everyone sang along, laughing, clapping. By the end it was absolute stillness. No matter how many times I hear this music, it never ceases to move me to my core. What an extraordinary channel Swamiji was for the power of God and Gurus. We were blessed with cold, but clear weather, so after the music ended we silently moved outside where a big campfire was already burning. About 30 of us made a close circle around the flames. Above our heads, no moon, just dark sky filled with blazing stars. 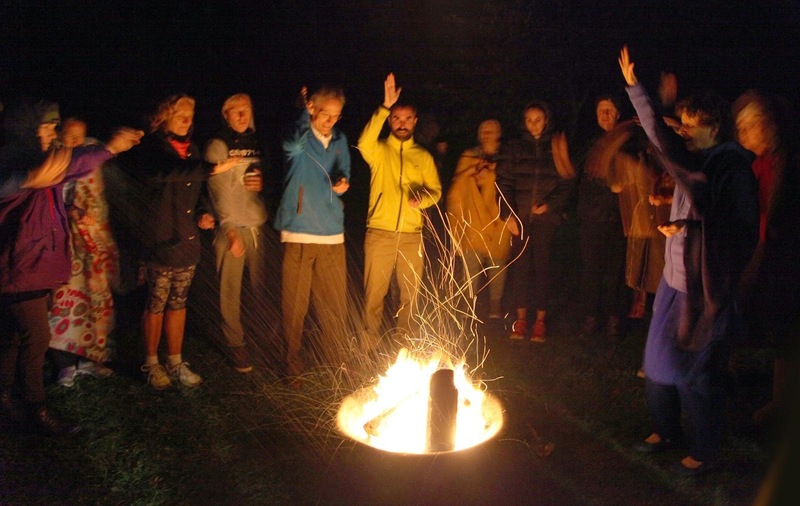 Together we chanted the Sanskrit mantras, poured ghee onto a campfire -- it flared up in a most dramatic way -- and tossed our grains of rice into the flames to burn up our karma through the power of divine love. The next day, ceremonies continued. First the Purification. 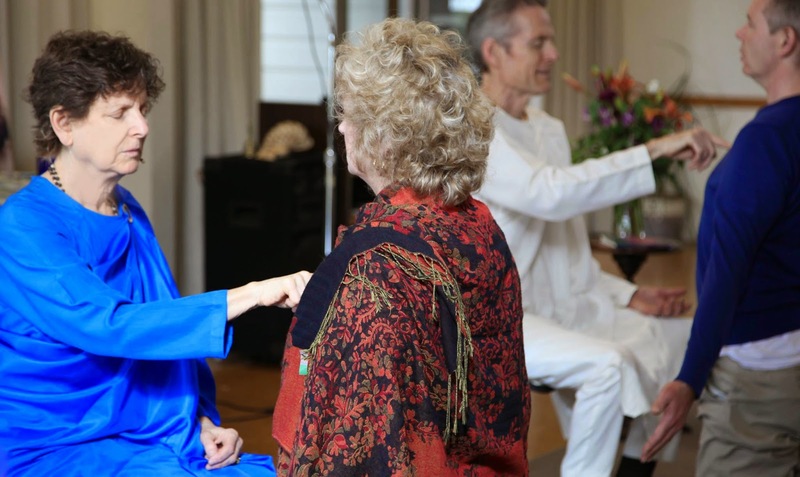 Every time I have the privilege of offering that ceremony, especially to those who have rarely, or never seen it before, I marvel at Swamiji’s perfect intuition, providing just what is needed for the unfoldment of Master’s mission for generations to come. Then we did Sunday service ending with The Festival of Light, followed by a Discipleship Initiation for five new disciples, plus a blessing for those who had taken it before. Finally, the morning ending with the all-important Facebook Ceremony: photos in front of the altar! Master’s ray is spreading all over the planet, in so many countries and cultures. These moments in Eternity are shared with brothers and sisters around the world. As we gathered for the pictures I told them that even though you haven’t met the devotees in Mexico, Croatia, Russia, or India, you already know them and they know you. We recognize each other as friends from other lives smiling now with the face of the present incarnation. The joy of this tour is not only bringing Master’s teachings to truth-seeking souls, it is also doing it as part of this team. 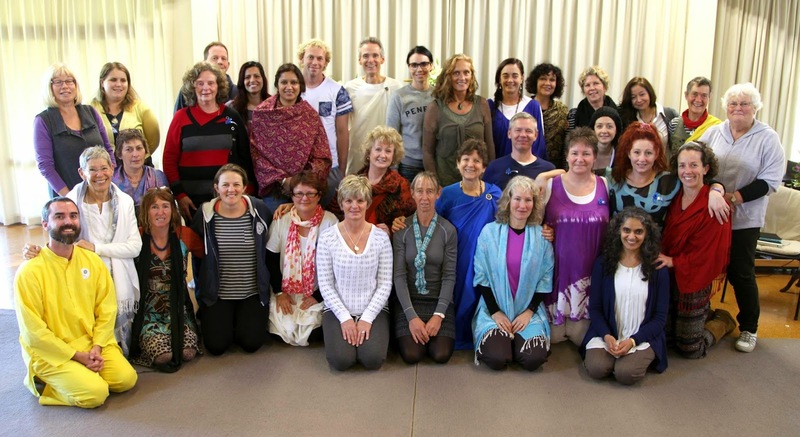 The effortless harmony of Ananda people together never ceases to amaze me. So much creativity, devotion, and joy. My heart overflows with gratitude to Swamiji for drawing us together in Master’s ray. P.S. You can find more photos from the trip here.